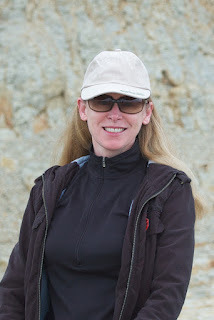 Alonna Shaw: My Writer's Bucket List: Travel-Writing Wings On! A Summers Day Quest For Sunshine. I'm spreading my writer-ly wings. This travel-writing piece originally appeared on the MyDestination.com main page (which is now MyGuide Network) in April 2013. 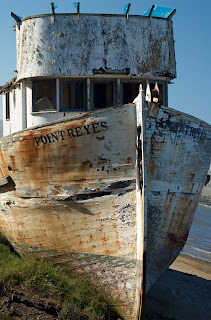 Point Reyes National Seashore is one of my favorite places and has captured a piece of my heart. 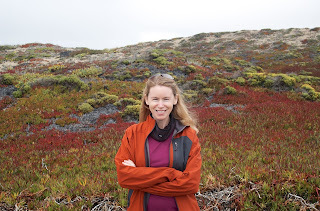 I'm so glad I can share a little about this area just north of San Francisco, California. I’m an explorer. Inspiration provides my trail. Much like a Magpie is enticed by sparkly things, for me, it can be a sound, the quality of late afternoon light, or the way air feels. 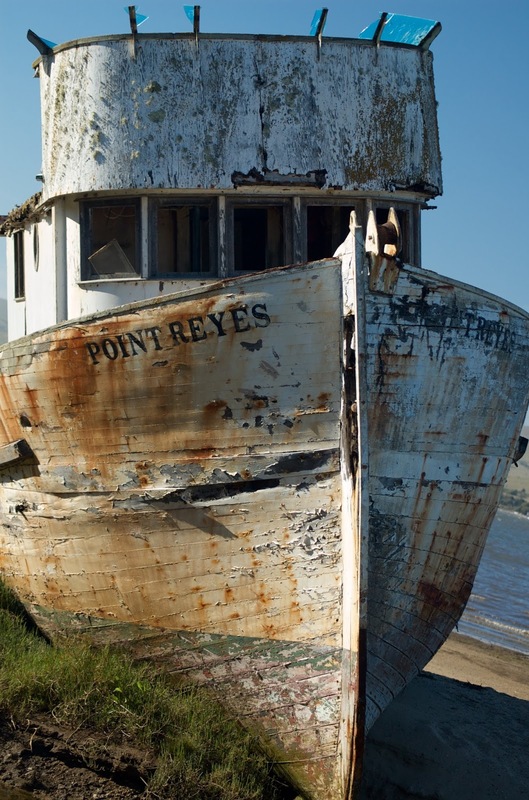 The Point Reyes National Seashore in California is parkland preserved for public use—signed into law by John F. Kennedy fifty years ago—and remains largely unchanged to this day. Outdoor activities are unlimited with over 71,000 acres (287.44 km2) encompassing ocean beaches to fog-capped peaks reminiscent of Scotland. Call or check the PRNS website for any closures. 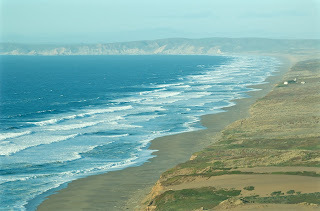 One day my husband and I drove out to the Pacific Coast, about an hour north of San Francisco. We looked forward to the salty mix of ocean water and sea air, which would provide a healthful dose of therapeutic negative ions. The drive through the western part of Marin County appears uninhabited, only rolling hills with majestic redwoods lining twisty Highway 1. 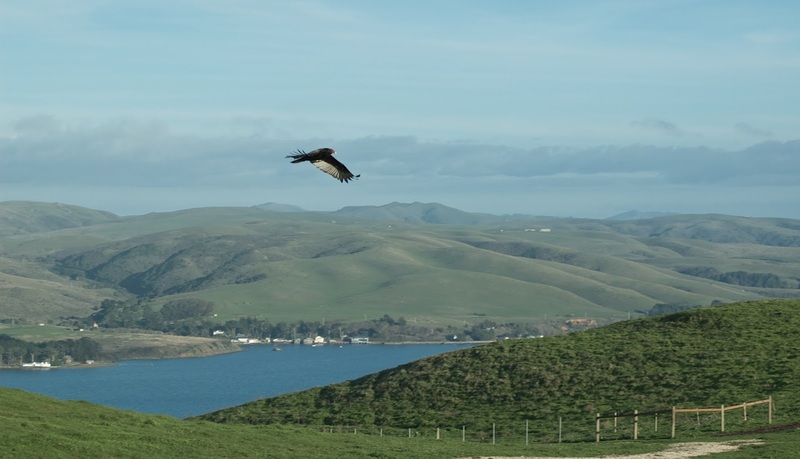 We approach Tomales Bay. 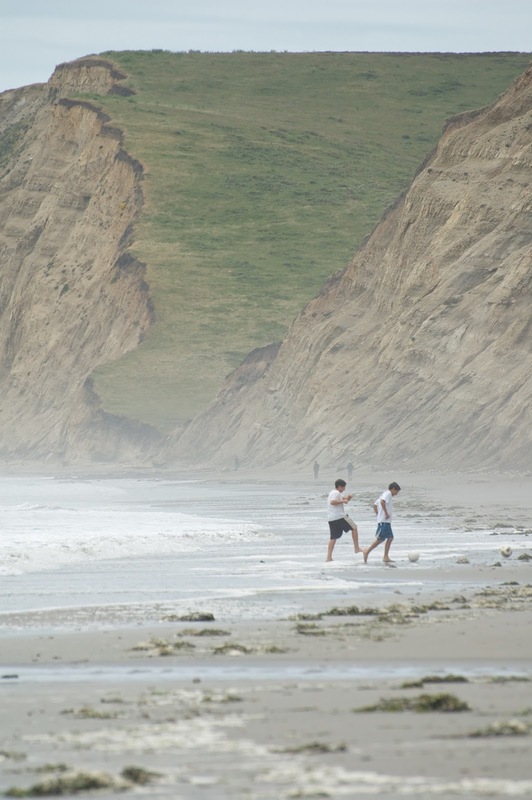 This long inlet is the Pacific Ocean’s greeting card and famous for fresh oysters. Just before the park, we find ourselves in Pt. Reyes Station, one of those if-you-blink-you’ll-miss-it towns. Quaint shops, markets, and restaurants, supporting the locally grown and organic lifestyle, line the main street. At the Cowgirl Creamery we sample Red Hawk and Mt. Tam gourmet cheeses, peruse deli items and select a bottle of wine for later. Temptation grabs us at the farmer’s market (June-November). My new favorite sandwich is the GBD—Golden, Brown Delicious Pt. Ryes Grilled Cheese as described in Sunset magazine with egg and tomato! 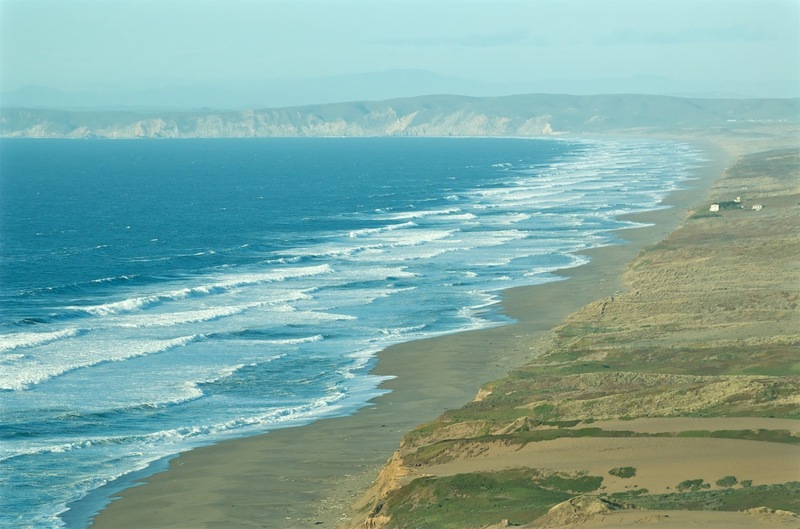 Sir Francis Drake Boulevard, inspired by said explorer's 1579 stop in the area, skirts Tomales Bay and goes out to the park's farthest tip. We stop by the visitor center then drive into the parkland over rolling, raggedy hills, past a double row of impressive Cypress Trees, monuments within the landscape. 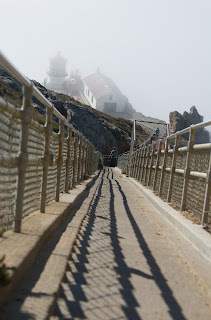 On we go toward the lighthouse, notable for its Fresnel lens and 308 steps down to the beacon. We stand atop a cliff on the edge of civilization. The chilly wind makes my nose red and cold. It may be summer, but I slip on a lightweight jacket. 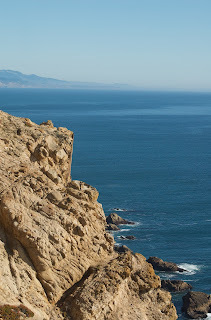 The only barrier to a steep drop straight down to a crescent beach is a smattering of waxy ice plants. The sand stretches into the distance and disappears into a foggy sea mist. Out beyond the mist, gray whales migrate off the coast passing the Farallon Islands. 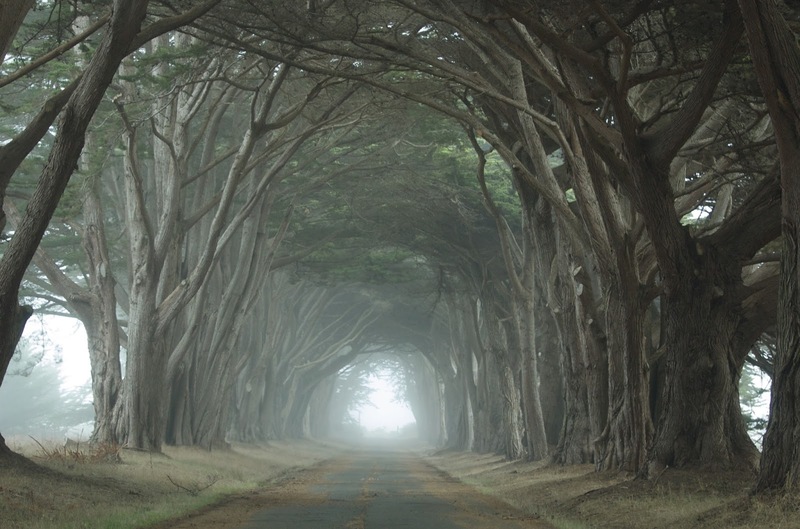 I want to stand under giant Cypress trees. We head inland. Fields randomly dotted with grazing cows stretch for miles. Upon entering the Cypress tree tunnel, interlocking branches close out the world; quiet and darkness descend. 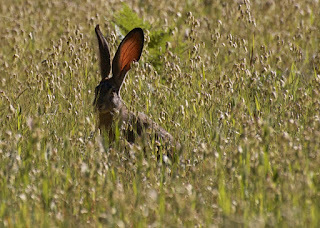 The largest jackrabbit I’ve ever seen bounds next to the car then disappears into the brush. 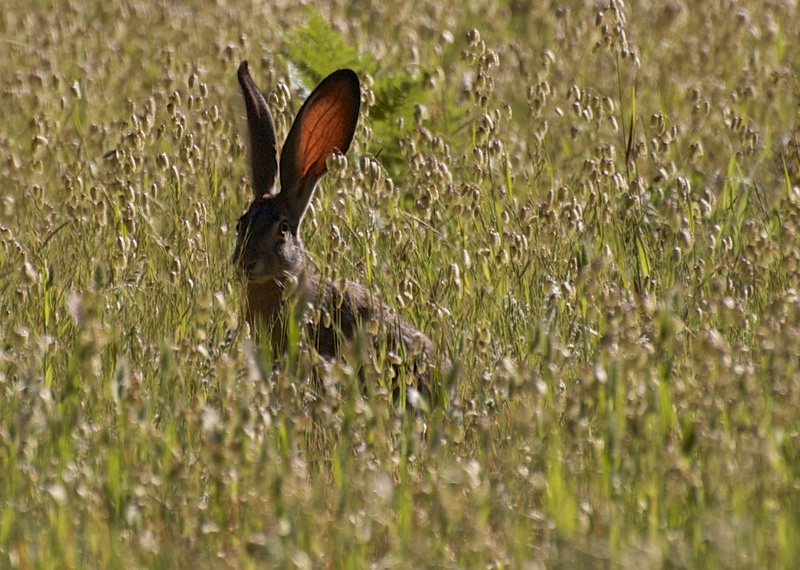 We spot him—between parted clumps of tall grass—the watchful hare, perhaps a stealthy sentry. I bask in this spooky moment reserved for Halloween; I am hooked. The mix of fog and nature awakens something in me that movies or books usually do. A short drive to Drakes Beach Café (check for current status) on the peninsula’s southern range introduces sunny patches as the mist floats past. 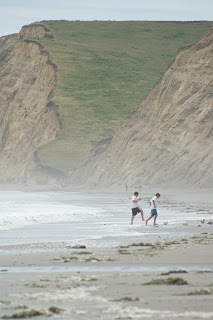 We park and enter what seems like another world built of sandstone cliffs and a wide sandy beach. After hot Tuscan Bean Soup and Portabella Mushroom Sandwiches, we sip lattes and watch kids kick a ball near the lapping waves. Two large black ravens perch on a weatherworn log and look at us with hungry eyes. “Nothing for you,” I say. 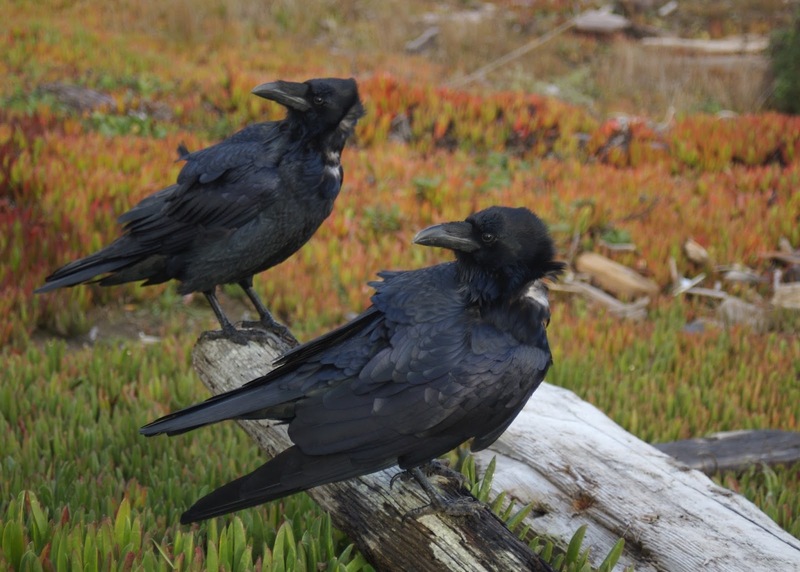 I talk with wildlife, but I don’t feed them out of respect for the natural ecosystem. Golden hour is the last bit of warm light at the end of the day, perfect for photos. Abbott’s Lagoon, on the western shore, is one of my favorite places. The 1.5-mile (2.5-kilometer) walk takes you through coyote bush and other scrub, over a bridge among soothing sand dunes, and finally to the ocean. Delicate Snowy Plovers, a small protected coastal bird, nest in the area. We tread with care. After the yellow speck of sun sinks below growing waves, we drive back to Pt. Reyes Station. Dinner options vary from casual wood-fired pizza at Café Reyes to fine dining at Osteria Stellina. That night, with stars twinkling through the skylight, we drop off into sweet dreams at the Inverness Secret Garden Cottage; “no pets, no smoking” fits my requirements nicely. We need more days to take in this wonderful place. 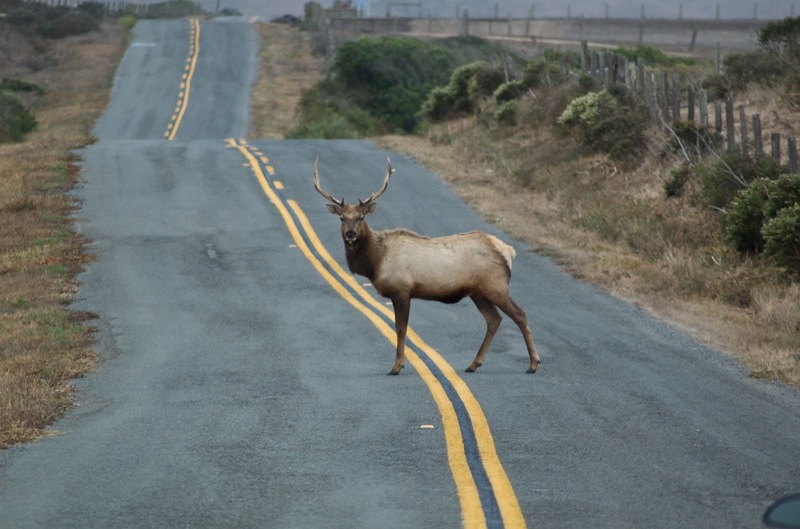 Things to do: Walk the narrow trail at secluded Pierce Point Ranch where Tule Elk gather and emerge in a hidden cove on McClures Beach. Ride a mountain bike over Inverness Ridge. Gallop the pristine sands of Limantour Beach on horseback. Tour 19th century ranches. Stroll through fields of wildflowers. Kayak Tomales Bay among harbor seals. See the 1920s Art Deco home of radio station KPH. Take a class held by the park, stay at the historic Lifeboat Station. Or camp. 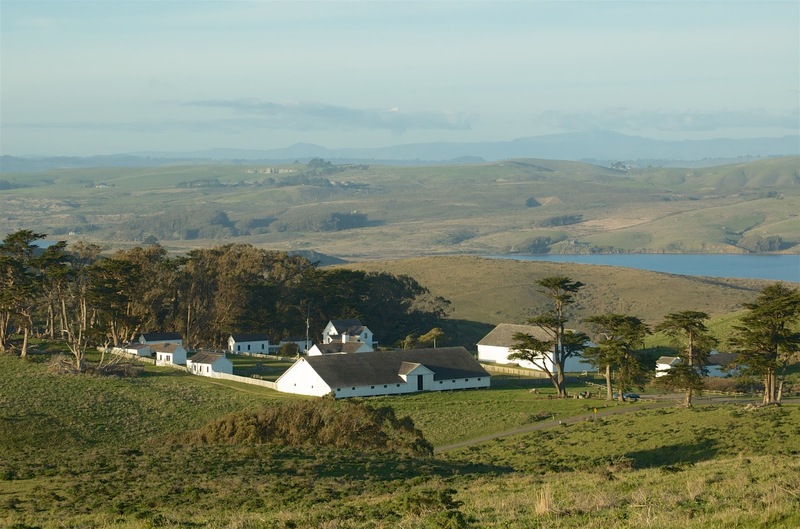 We became enamored with West Marin and stayed for over four years in a 100-year-old summer cottage where the sun visited most days. 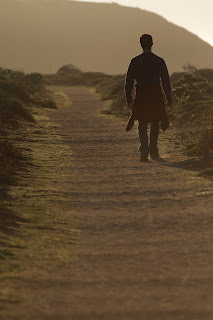 It proved to be so inspirational my debut novel reflected my “love letter” to the area. Leaving the mystical fog and moving on, as I always seem to do, continues to haunt me. The waves lapping at the sand call to me. But inspiration never ends. On to my next destination. Alonna Shaw is a nature-loving writer who utilizes her background in theatre, film, and television in her work. Her debut novel, Eleven Sundays, is a heartwarming contemporary story of Annie’s quarter-life crisis spurring her into a transformational journey from what she thought she should be to who she needed to become.